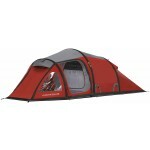 The Vango Alpha tent range welcomes a new size and configuration for the 2010 season with the arrival of the Alpha 300+. This model will be based on the best selling 300 but with exits at both end of the tent with accompanying porch areas. Relatively light, portable, packable and easy to erect (that's our Stannio). 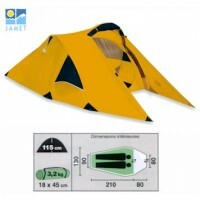 The tent has a 3-berth breathable polyester inner with a 10,000mm HH polyethylene bathtub groundsheet with front and rear porch areas with pre-attached groundsheets. The flysheet is improved for 2011 with an embossed textured Protex 3000 polyester fabric with taped seams and an increased hydrostatic head of 3000mm. Within the flysheet are air vents over the 'crystal clear' windows with internal covers for privacy. The Powerflex fibreglass poles are colour coded for easy identification and the tension webbing is reflective so you can find your tent in dark or stormy conditions. 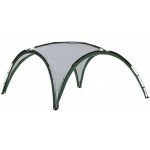 Other features include, repair kit, handled carry bag, inner pockets, breathable inner tent. 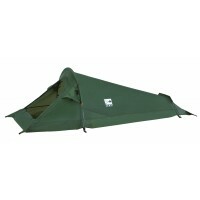 Vango Alpha 300+ Dome Tent - 2011 Model.